Its been eleven days since I last blogged in this space. In this time, I have given three webinars (web seminars) on the Korean peninsula, Japanese economy, Indo-Pak relations (with focus on Kashmir), What if Assad of Syria goes; Iranian nuclear ambitions (with focus on Israeli plans to attack Iran), and FDI in multibrand retail. All in all, been busy doing some really interesting work. Let me continue the Best Reads Series. 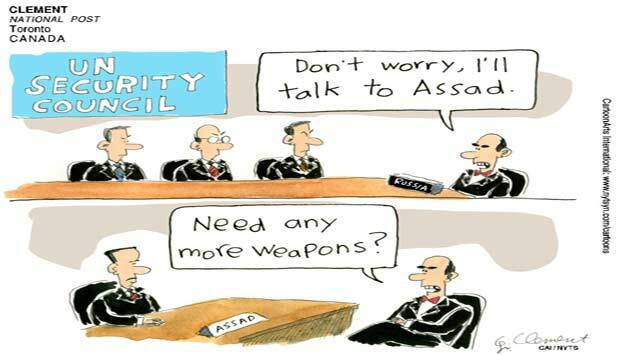 We resume with a funny take on the double game the Russians are playing in the Syrian crisis. This cartoon comes from First Post.